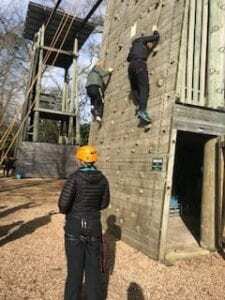 Here at M4 we believe team building is a vital part of any Company and something we value. At the start of February we got the whole Company together for various activities pushing our staff to work together and face their fears! 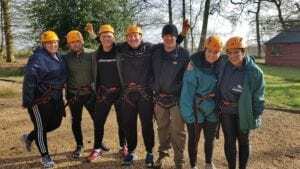 We believe that team building creates relationships across our branches, breaks down any barriers between managers and employees and motivates staff to express their ideas and opinions and become more confident in taking on new challenges. 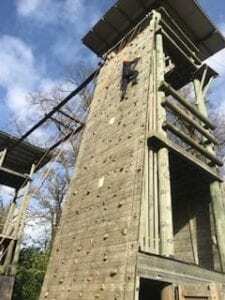 We certainly set our employees challenges this weekend from walking across high ropes to battles in the laser quest around the woods! 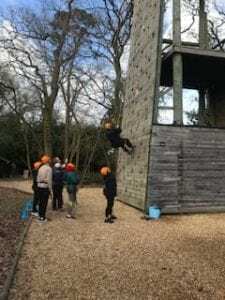 Luckily the weather held out for us and it was thoroughly enjoyed by all, even those with a fear of heights! Well done to all of our staff who beat their fears this weekend! Take a look on our social media for more pictures!